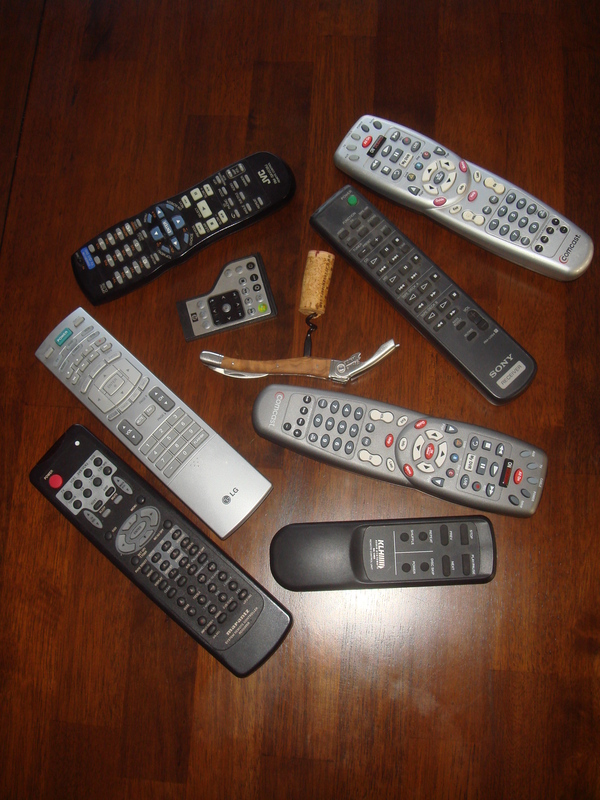 The entertainment system in my living room requires seven remotes. That’s not true; actually there are eight but I don’t know what one of them is for. Making the system work the way I want has been a decades long study (I suppose I could get up off the couch and push the buttons manually, but c’mon–really?). I also know there is such a thing as a master remote where one device will do the job of all seven (eight) but I’ve seen them and they look like the control panel in a nuclear facility. Their instruction pamphlets are only slightly smaller than the Sears catalog. Because I’ve grown up with the system, I know I can’t go straight from TV mode to the DVD setting and expect to watch my Lord of the Rings trilogy (well, I can but the subwoofer won’t work and you need the subwoofer for the Nazgul scenes). I must first switch to DVD to get picture, then to CD for sound, and then watch the movie with the system set on CD. Any other method will not give me access to all sound features. I also know I have to point the correct remote straight at the TV and away (yes, away) from the cable box to turn on cable TV. To listen to my iPod through the system, I select the VCR feature. By trial and error or sheer dumb luck, I have learned these things over time. Trying to make sense of the dizzying complexities of my seven (eight) remote system is like trying to understand tax law through interpretive dance. God help you if you’re house sitting and you want to watch a movie. No, I think I’m stuck with the seven (eight) remote system because in spite of its complexities, its quirks, its lack of an intuitive method, it’s what I’ve learned. I like it. Like the remotes, over time I’ve also learned a million complexities and quirks that I just don’t understand inherent in the world of wine. 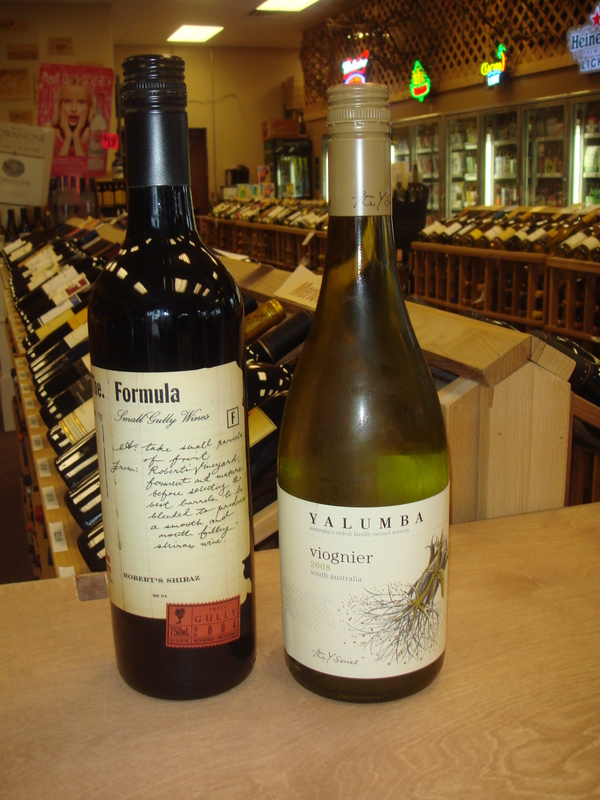 Why will one bottle of Cabernet go with mushrooms but a different one won’t? Why can one wine taste better after it breathes when another wine falls apart? The short answer: I don’t know, but like my seven (eight) remote system, I like it. This week’s recommendation has a million of its own tasty quirks. d’Arenberg 2008, The Footbolt Shiraz ($18.99): This wine is too delicious. My wife and I each found ourselves vying for control of the bottle. You are currently browsing the archives for the Shiraz category.